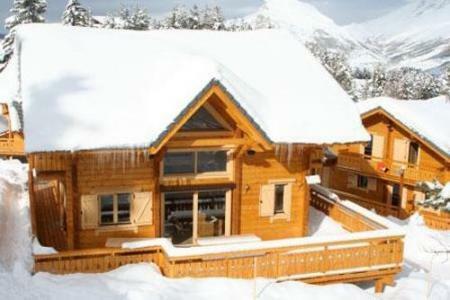 " Les Flocons du Soleil " in La Joue du Loup, Alps, France comprise of 30 chalets with 2 accommodations in each one. 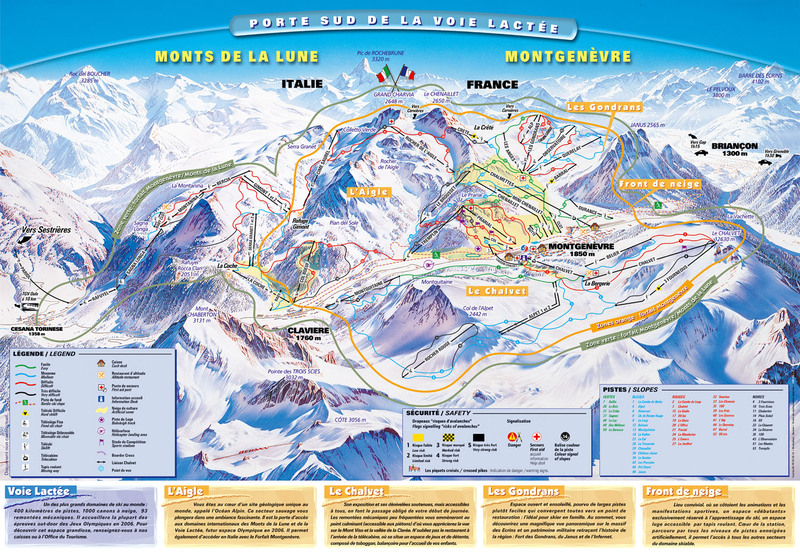 Situated at the heart of the resort close to amenities such as shops (300m) and the ski lifts (300m), the chalets in La Joue du Loup, Alps, France face the valley of Agnieres with a breathtaking view of the mountain of the Grand Ferrand. 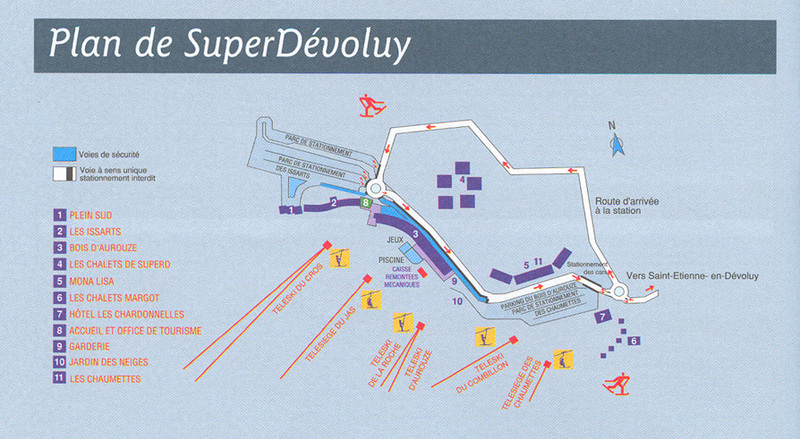 They are surrounded further down by a cross-country ski run (50 m). 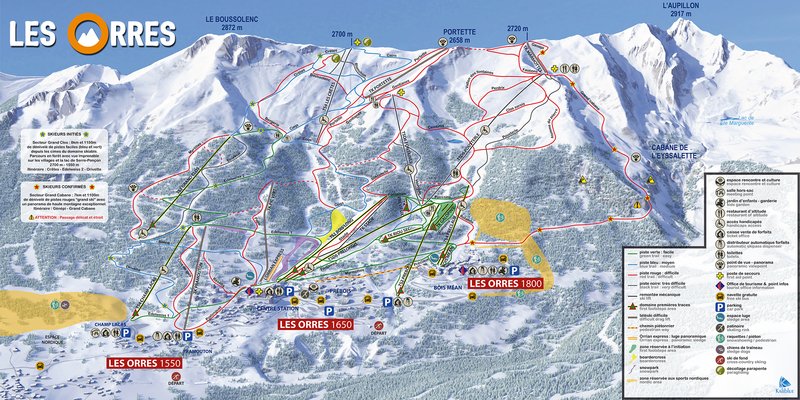 The Residence les Anges, with lift, is right at the foot of the ski slopes in the resort of Montgenèvre. 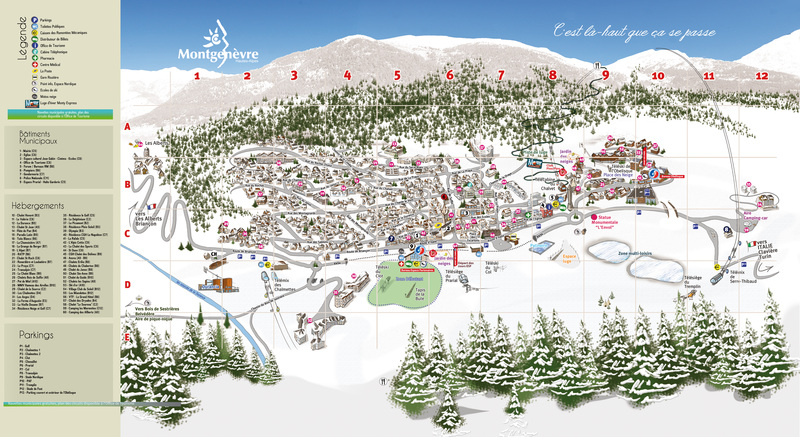 The ski school and the main ski lifts are 100 m away and the resort shops start 250 m away. There is a ski rental shop directly in the building. The apartments are west and east facing and so are often sunny. There is outdoor public parking near the residence (depending on availability). Le Chalet des Dolines, Montgenevre, Alps, France comprises of 3 authentic chalets made of wood and stone. 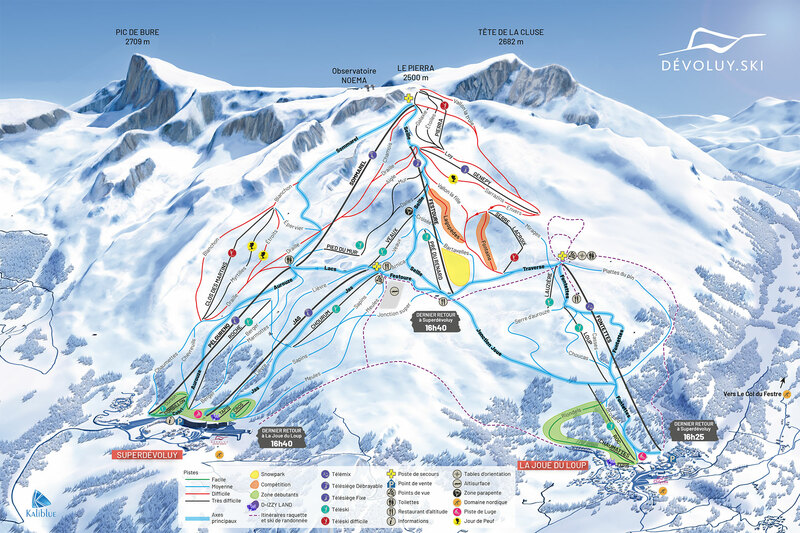 It is situated with proximity to the pistes in the skiing area of la Vialattea (La Voie Lactee) with direct access to the free shuttle and very close to the centre of the resort. This residence in Montgenevre, Alps, France is south facing and offers long periods of sunshine. Facilities in Le Chalet des Dolines include a reception area with lounge and fireplace, as well as a private indoor swimming pool, a relaxation area with sauna, Turkish baths, spa baths and cardio training room and a Spa & Beauty Montagne centre. 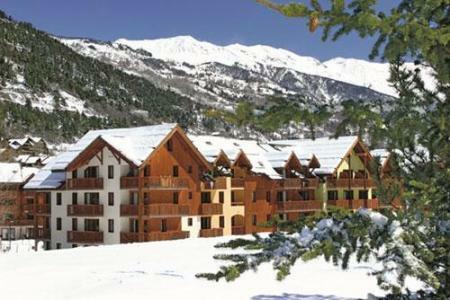 Located in the heart of the mountain village of Villeneuve - La Salle Les Alpes, the Pierre & Vacances L'Alpaga residence at Serre Chevalier draws inspiration from an architecture unique to the department of the "Hautes Alpes". 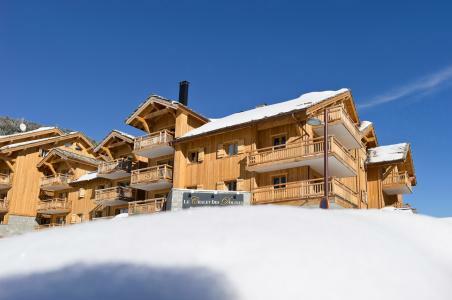 The residence enjoys an ideal position, only 50 m from the shops and 200 m from the ski lifts. 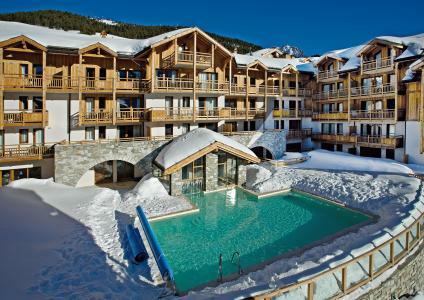 Les Chalets of Eden, La Joue du Loup, Alps, France comprises of superb individual chalets with two underground car parks. Each accommodation has 6 bedrooms, 5 washrooms and a kitchen area (about 50 m²). Facilities within the residence and for a relaxing holiday, include a sauna which can accommodate up to 14 people. 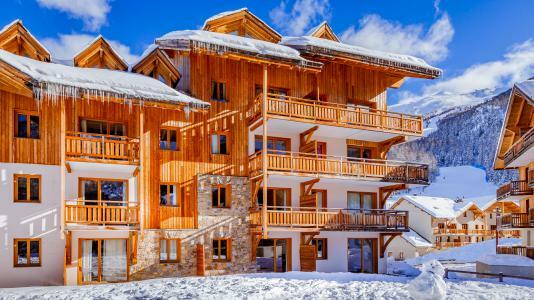 A fantastic chalet in La Joue du Loup, Alps, France is situated directly at the foot of the pistes and is ideal for holiday with family or friends... Its balconies (75 m²) offer an fantastic view over the valley of Deveoluy. 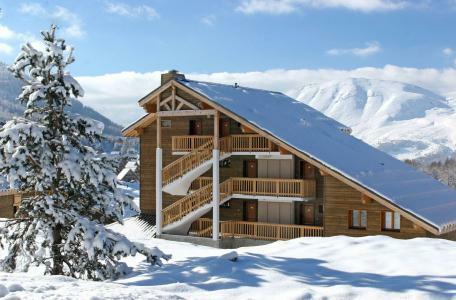 The 3-star residence La Crête du Berger, La Joue du Loup, Alps, France comprises of 32 chalets offering 2 to 10 accommodations per chalet which can accommodate between 2 to 4 people. The 3-star residence in La Joue du Loup, Alps, France was built in an traditional style with wooden frames and is situated at the bottom of the cross country ski slopes and 500m from the alpine ski slopes. 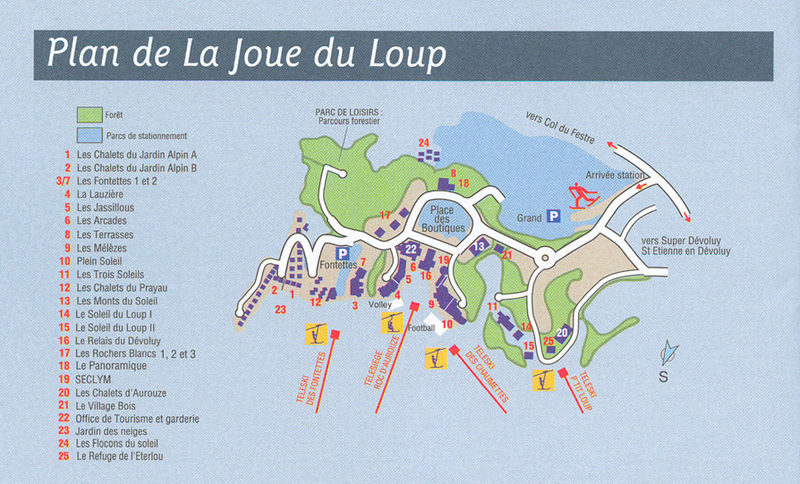 It is also ideally located at the entrance of the resort. 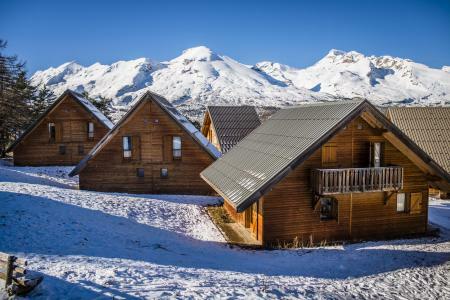 Le Hameau du Puy, Superdevoluy, Alps, France comprises of a set of semi individual split-level chalets (all in the same style) and apartments in collective chalets, they offer a welcome reception, a lounge, a large heated indoor swimming pool and a sauna. This 3-star luxury residence offers the best facilities, architecture, layout, design and location (close to major amenities and ski lifts) in the resort of Superdevoluy, Alps, France.Free access to the heated indoor swimming pool and sauna. Situated at 1800 m of alt. 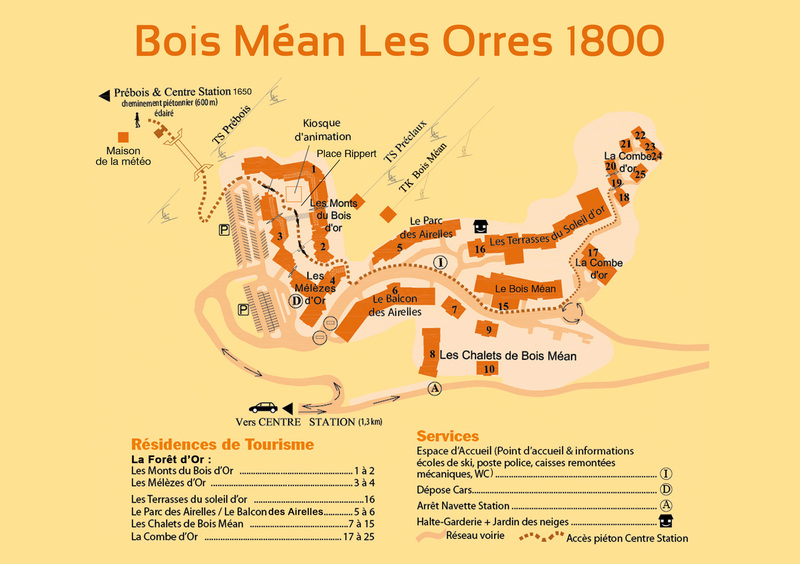 in Bois Méan village in Les Orres, 15 apartments proposed in "L'Ecrin des Orres Confort" are ideally situated : ski lifts, restaurants, shops and ski schools are 100 m from the residence. The flats have a balcony with a wonderful view over the surrounding moutains, the forest or the valley.